2014 Mitsubishi Outlander with only 105292 on the odometer, vehicle highlights include. 2.4L I4 SOHC 25/31 City/Highway MPG CVT Awards: * 2014 KBB.com 10 Most Affordable 3-Row Vehicles * 2014 KBB.com 5-Year Cost to Own Awards To Serve Customers for Life! That is the mission of the Schumacher Family of Dealerships. It is the driving force behind the hard work and sincere commitment on the part of our team to provide you with the absolute best automobile shopping experience possible. Value and quality in the products you choose are just the beginning. Service and commitment are long-lasting. For over 45 years Schumacher has been an organization that people know to be of the highest integrity, providing you world class pre-owned products and a sincere focus on your ongoing satisfaction for many years to come. We invite you to come discover why so many have joined the Family of Satisfied Schumacher Customers. 2016 Kia Soul with only 29861 on the odometer, vehicle highlights include. I4 24/31 City/Highway MPG 6-Speed Automatic CARFAX One-Owner. Awards: * ALG Residual Value Awards * 2016 IIHS Top Safety Pick To Serve Customers for Life! That is the mission of the Schumacher Family of Dealerships. It is the driving force behind the hard work and sincere commitment on the part of our team to provide you with the absolute best automobile shopping experience possible. Value and quality in the products you choose are just the beginning. Service and commitment are long-lasting. 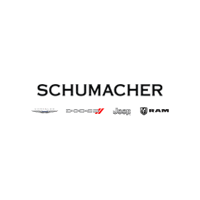 For over 45 years Schumacher has been an organization that people know to be of the highest integrity, providing you world class pre-owned products and a sincere focus on your ongoing satisfaction for many years to come. We invite you to come discover why so many have joined the Family of Satisfied Schumacher Customers.